Vegetal i.D. Inc. has announced a collaboration between the Milwaukee Metropolitan Sewerage District, Fund For Lake Michigan, The Water Council, UW-Milwaukee, and UW-Whitewater to closely monitor the performance of a new stormwater management solution. The technology being tested is an advanced system combining a blue roof with a green roof that is poised to bring green roof based stormwater management performance to a whole new level. 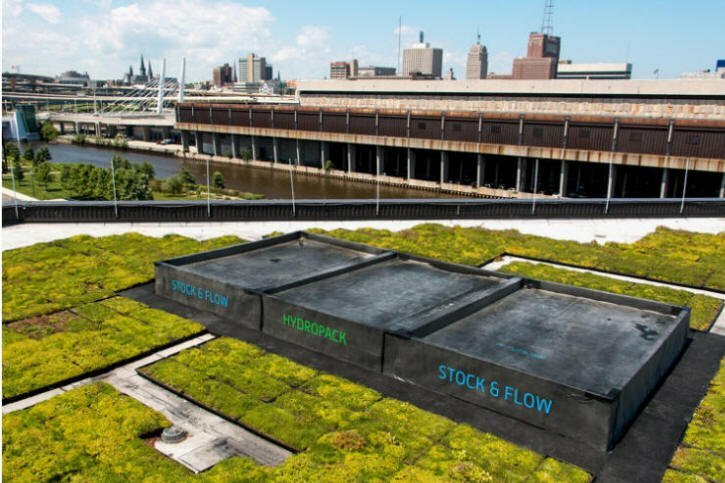 The project will compare stormwater management performance of 2 versions of STOCK & FLOW®, a typical extensive green roof, and a standard roof. They will also measure performance metrics such as the productivity of the plants and their ability to cool the roof. Read the full article on greenroofs.com website.